An expungement is a type of lawsuit where first time offenders can seek that the records on their conviction be sealed. Meaning that the records are no longer available through state and Federal repositories. 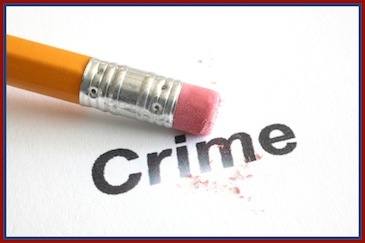 If an expungement occurs, all records of a criminal conviction are destroyed or permanently sealed off. 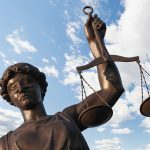 An expungement revolves around criminal charges, but it is in fact a civil action that is taken on the subjects behalf where the courts are asked that the records be expunged. There is a difference between an expungement and a pardon. For example, expunging a misdemeanor means that you are still guilty for the charges brought against you, but the records of it will be removed from general view. This means that the expunged can “act” as though the event never happened. Where as a pardon revolves more around forgiveness, and the records of the event are still accessible. A pardon can only be given by a Governor for State law offenses, or the President for Federal ones. Where an expungement can only be granted by a judge. Eligibility for an expungement is dependent on the laws of jurisdiction where the charges were made. There are numerous conditions which must be met in order for the request of expungement to be considered. Probation must be completed without any incidents. No further charges are pending. The terms of the sentence were completely fulfilled. There can only be a set number of prior incidents. The conviction itself is of a less serious nature. Felonies and first degree misdemeanors where the victim is under 18 years of age. Many Jurisdictions have laws that allow, or require, that a juveniles records be expunged once the juvenile reaches a certain age, which is typically 17 or 18 years of age. The exact laws are dependent upon the jurisdiction in which the convicted was charged. The reason for this is that it is believed a minor involved and found guilty of a criminal act, should be allowed a clean slate as they enter adulthood. This would help them through life, as having a criminal record certainly has adverse and negative effects. There are some jurisdictions where all records on file within an agency, concerning a criminal act can possibly be expunged. This is of course dependent upon state laws for what is allowed or not. Those requesting an expungement will have to complete the forms and instructions required by the appropriate authority. A person can represent themselves in this matter which is called appearing pro se. But it is highly advised that a criminal attorney be hired for representation as their experience and knowledge is invaluable. If you or someone you know is in search of a criminal defense attorney or more specifically a Boulder criminal defense lawyer, please contact The Clark Law Firm.